The holiday board is spread! 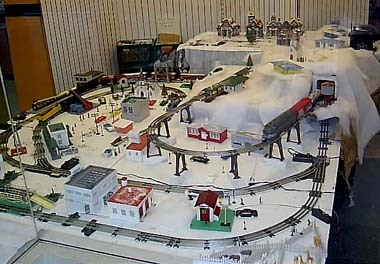 The Lionel trains were running all afternoon. Some of the SMVRHM folks check out the progress on the SMVRR HO model. 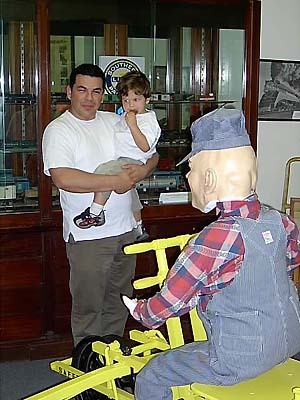 Trains and kids - always a hit! Thanks to Ed Couch for these pics! Folks enjoyed the picture wall and artifacts in this room of the Museum, along with the holiday goodies, of course. 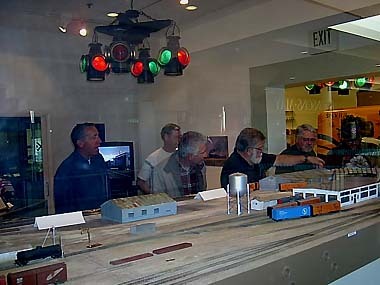 These people are watching an aspiring engineer take a crack at the new Train Simulator (the color computer screen about in the middle of the picture). There's that plastic guy again, riding the Velocipede! 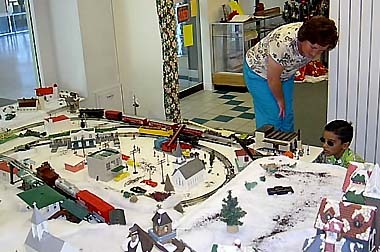 See images from last year's Lionel Open House.